Coming from a 1994 partnership with Duke University, this project focuses on documenting African-American experiences during the era of Jim Crow segregation and disfranchisement iin Mississippi and the South. The larger project can be found through the Duke University Digital Collections. This project collects opinions about the social impact of activities and various programs such as money collection, meetings, and support of organizations like the NAACP by churches to facilitate racial integration. This project seeks to interview persons in the local community who had in-depth knowledge about student life, experiences, incidents, and events within and outside the campus that affected education in the capital city, especially at Smith Robertson School, Lanier High School, Campbell College, Tougaloo College, and Jackson State University. This project deals with the history, causes, and evolution of the rapid growth of Clinton and its impact on the economy, education, politics, population, and community relations of the area. This project documents the history, living conditions, relationships, churches, schools, centers, and other activities and institutions that were/are in the Farish Street Historic District of Jackson. This project is a recollection of the “Good Old Days” by senior citizens who talk about their lives, times, achievements, and challenges from their early childhood through the various stages of life. This collection documents the origins and operation of the Head Start Program, especially in relation to formal and informal preschool learning, educational and other services, institutions and curriculums, and an assessment of its impact on the mobilization of the black community in Mississippi to control its destiny economically and politically. Initiated during the 2012-2013 academic year, this project chronicles the history of Jackson State University. 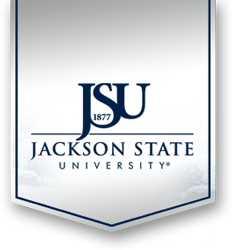 Through oral histories conducted with "JSU Legends" like former President John A. Peoples, the project looks at the lives and times of these people and how they connect to Jackson State. This collection currently consists of 54 interviews that detail the influence of the labor movement on civil rights. It examines the reciprocal impact of education, employment, professionals, professional and academic organizations and institutions on social change in Jackson, Mississippi. The Mississippi Funk Music Oral History Project examines the rich legacy of Funk Music in the state. When it comes to Mississippi’s Black music legacy, there is no question that gospel, blues, and soul reign supreme. But, Mississippi funk bands such as Freedom, Natural High, Wind Chimes, and Magna Funk have made an impact not just on music in America but globally as well. The 68 oral histories in this collection about one of three historically black boarding schools left in the United States include an interview with the school founder, Dr. Laurence C. Jones, and the topics covered included farmers’ conferences, community fairs, superstitions, integration, inter-racial and intra-racial discrimination, work activities, religious instruction, and auxiliary fundraising groups such as the Rays of Rhythm, the Sweethearts of Rhythm Band, choirs, and baseball teams. This collection was part of "A Case Study of a Black School's Community Relationships," which in turn was part of a larger project entitled "A Folk Community School with Oral Reminiscences." It culminated in he publication of Piney Wood School: An Oral History by Dr. Alferdteen Harrison in 1982. This collection focuses on the life and career of Robert Clark, one of the most influential African-American politicians in 20th Century Mississippi Politics, the first African-American elected to the Mississippi House of Representatives since Reconstruction in 1967, and the long-time Speaker Pro-Tempore of the House. Along with interviews with Clark himself and with those people who were close to him, the collection contains papers, documents, and campaign items. The R.O.O.T.S. (Reclaiming Our Origins Through Stories) project is a component of the Sunflower County Systems Change Project (SCSCP), which addresses negative perceptions and narratives about young men and boys of color. This oral history journey was undertaken by 19 young men from Sunflower County who set out to change the negative perceptions about young black men in their community. In partnership with the SCSCP and Story for All, a non-profit organization from Oakland, California, these young men have collected stories, wisdom, and data from their Mississippi Delta community to impact change and to inform the work of disrupting the school-to-prison pipeline. Their journey of collecting stories and sharing their voices, hope, and commitment to their community has also been curated into a traveling multimedia exhibit that tells the broader story of the policies and practices that disproportionately affect Young Men and Boys of Color (YMBOC) in the Delta and across the country. Learn more about the ROOTS journey by watching and listening to the interviews conducted by the youth. This collection focuses on how black church women united, how black women campaigned for jobs in Jackson, and how black women organized other social, political, and economic activities. It deals with growing up as a woman, opportunities and challenges, female perspectives on American events and issues, and the accomplishments of courageous and outstanding women.